Create a fixed, touchable version of the design. For instance, if you have an idea for an ornamental design for wallpaper, draw or sketch the design on paper or digitally. If the design is for a building or vehicle, you may wish to draw or sketch the design as well. You can also present the design in the materials you intend to use to make the finished product, but a sketch is enough to secure copyright protection, as long as it clearly shows the design elements you've created. File a registration for copyright with the U.S. Copyright Office. You can file for registration in either of two ways for most works: File online, using Form e-CO, or by mail, using the preprinted paper Form CO. The electronic form has several advantages, according to the U.S. Copyright Office, including a cheaper filing fee and a faster processing time. Certain designs, however, require you to file an additional paper form whether you choose to file the Form e-CO or the Form CO. These include designs for ship hulls, which must include Form D-VH, and designs for masks, which must include Form MW. Pay the registration fee for your design. Design copyright registrations filed on Form e-CO include a $35 filing fee as of 2011, while design copyright registrations filed on Form CO include a $50 filing fee. Although ship hull designs and mask designs must include a separate paper form, the Form e-CO can still be used for these, which makes them eligible for the lower $35 filing fee. You can pay the registration fee online or through the mail. If you use Form e-CO, the filing fee is still $35 even if you send the payment through the mail. Submit two copies of your design to the U.S. Copyright Office. One of these copies is kept on file with the office, and the other is submitted to the Library of Congress. 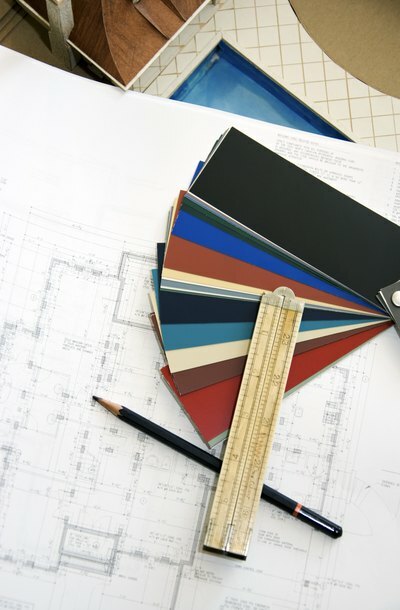 If your design is for an item that you cannot easily submit or file in its completed form, such as a building or a ship, you may file clear drawings or schematics of your design instead of the finished product. Your copyright's registration begins on the date the U.S. Copyright Office receives all the materials it needs to complete your application, including these two copies. A sculptor automatically secures "common law" copyrights in a sculpture as soon as it is created and fixed in a tangible form. Any sculpture fixed in any tangible form qualifies for copyright protection. A rough sketch of a sculpture on a napkin, a preliminary blueprint, a detailed mold or a photographic image of a sculpture fulfills the minimal qualifications for automatic copyright protection. Optional federal copyright registration of a sculpture, such as a visual work of art, provides additional benefits. Federal copyright registration creates a legal presumption of ownership rights, access to the federal courts for infringement claims and general public notification throughout the nation. Original songs and poems are protected by copyright the moment they are fixed in a tangible medium of expression. However, if you want to establish a public record of your copyright and be able to sue infringers for damages, you must register your creative works with the United States Copyright Office. You can register using the online system maintained by the Copyright Office, or you can submit a paper application. Note that songs and poems must be registered separately.